Hi and a big welcome to anyone visiting my blog for the first time. I am sure you will agree that it is so great to have new visitors to your blog, but it is even better when someone chooses to come back again, so a very big hello to you too. A new challenge starts at Crafty Boots Challenges today. The theme of this challenge is 'Remembrance', it was was chosen by the very talented Helen. My thoughts automatically go to Remembrance Day and those who have given their lives for our freedom. When I was a little girl I always called it Poppy Day because of the Poppy Appeal adopted by the Royal British Legion. 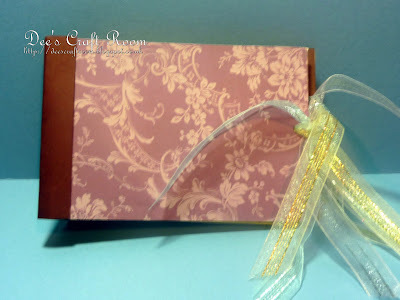 However, your design can be anything you like, as long as you remember a loved one or an event. 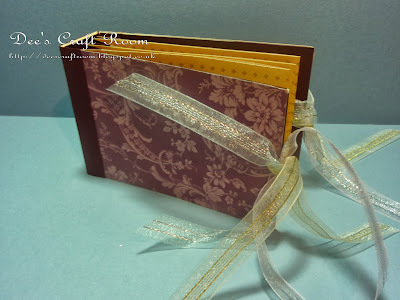 However, for my Design Team piece today, I thought I like to make some new memories and, with the help of my friend Lynn, I came up with this mini photo album. The cover of my mini album is made from scraps of mount board and I chamfered the edges where they met on the spine. I covered the back and front with some lovely Anna Griffin paper (I think it is Anna Griffin but I have had it a lone time!). I chose a contrasting paper for the inside cover and the spine. I then cut a 12" x 12" sheet of paper into three strips and folded them in half. 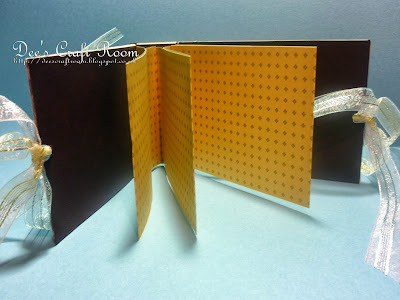 I joined these together with a zig zag of the contrasting paper and then glued them to the inside cover. 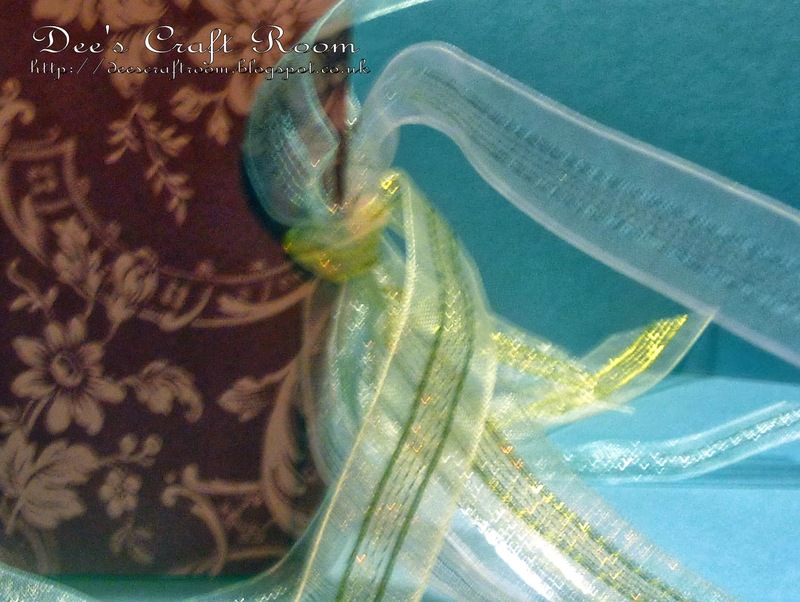 I punched a couple of holes in the cover and some pretty organza ribbon makes the finishing touch. 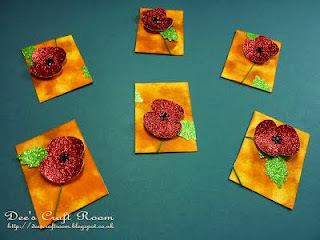 The rest of the design team have made some stunning Remembrance projects, pop across to the Crafty Boots Challenges blog and take a look.